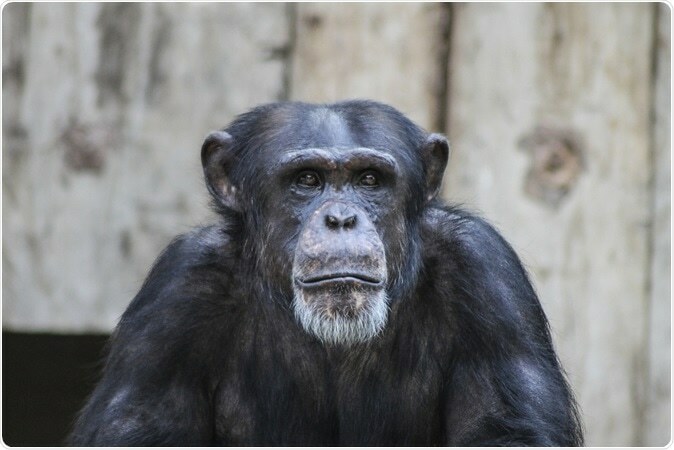 In a study published yesterday in the journal Neurobiology of Aging, researchers have reported that aged chimpanzees may show similar if not identical brain changes as persons with early Alzheimer's disease. Chimpanzees are the closes linked animals with humans and these findings may help understand the mechanism of development of Alzheimer’s disease believe researchers. This study may help understand the beginnings of dementia and also help the caregivers of aging chimps to look after them say researchers. Until now it was known that although most animals slow down in their cognitive abilities as they age, only humans can develop Alzheimer’s – the most severe form of dementia. When examined at a molecular level, these Alzheimer’s sufferers have been shown to have several key features such as plaques made up of a protein called and also tangles of proteins called tau. There is also a general loss of neurons. It was believed that only human brains could develop these plaques and tangles. There is only one lone study on a single chimp brain before that shows presence of these two proteins in its brain. Now in this new study, Mary Ann Raghanti, a biological anthropologist at Kent State University in Ohio and her team, looked at the brains of 20 aged chimps that had died between 37 and 62 years of age over last couple of decades. Researchers from Kent State University's College of Arts and Sciences, along with colleagues from the George Washington University, Yerkes National Primate Research Center, Georgia State University, Barrow Neurological Institute and the Icahn School of Medicine at Mount Sinai collaborated and participated in this study. This was part of the Great Ape Aging Project that started 20 years ago. They looked at the same regions in the chimpanzee brains that are usually affected in humans when they develop dementia. This includes a region called the hippocampus or the region associated with memory. Within the samples they noted that 4 of the 20 chimpanzee brains contained both plaques and tangles. All 20 of the chimpanzees seemed to have a typical protein formation called the “pre-tangles” that would end up becoming tangles. Several of the samples also showed amyloid-β. Experts believe this study paves way for a greater understanding of dementia development as well as the changes in behavioural patterns of chimpanzees in captivity as they age. Severe dementia has never been reported in any chimpanzee but this study shows that presences of these plaques and tangles could mean that they would eventually develop dementia explained study co-author William Hopkins, a psychologist at Georgia State University in Atlanta. According to experts, the underlying molecular structure of amyloid-β and tau proteins are similar for both humans and chimps. However the chimps still do not get severe dementia. This could be due to the different way in which the proteins fold up in humans and chimpanzees. Another related protein called APOE, which regulates the amyloid-β aggregate formation into plaques, could also differ between the two species say researchers. Studies have shown that in humans, a version of APOE gene called the APOE4 can make a person more susceptible to develop Alzheimer’s. 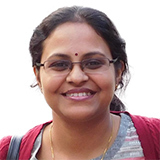 Raghanti explained that now the researchers are looking at the number of neurons that the chimps have lost to dementia and the underlying presence of inflammation in their brains to understand the mechanism. These two factors – loss of neurons and inflammation, are found to contribute to Alzheimer’s in humans. Uncovering this would lead to a greater understanding of human Alzheimer’s disease she added. Nearly one third of Americans suffer from dementia and Alzheimer’s disease is the most common form of dementia. Alzheimer’s and dementia most commonly affect the memory and other brain functions. Increasing age, genetic predisposition, history of head injuries and presence of other lifestyle disorders such as diabetes or cardiovascular disease contribute to development of dementia. Alzheimer's disease is a progressive form of dementia with the features becoming more serious with time. It can damage several brain functions. The initial symptoms start with loss of memory. This progresses to confusion, behavioural problems, mood swings and irritability, difficulty in planning and making decisions, problems associated with speech and moving around and caring for self without assistance. On conformation of diagnosis treatment with certain medications are begun. These are not cure for the disease but may help relieve some symptoms and decelerate the progress of the condition in some patients. Psychological treatments such as cognitive stimulation therapy and behavioural therapies are also offered to some patients to help them with their memory and cognitive functions.